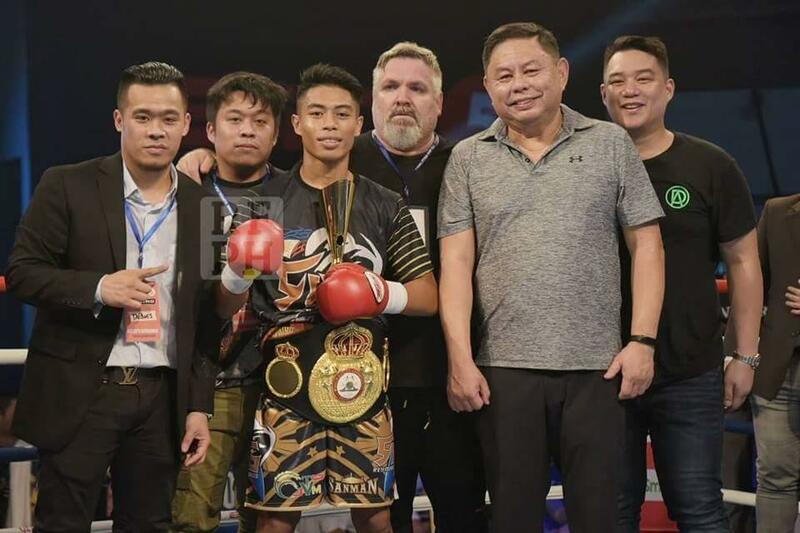 Press Release: October 3, 2018 (Originally released October 2, 2018) by Sanman Promotions – WBA Interim bantamweight champion Reymart Gaballo displayed too much superiority versus his Tanzanian rival Julias Kisawire by dropping him twice on the opening bell of their bout. 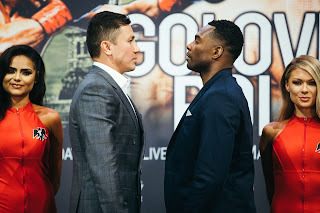 The Tanzanian had no answer to the barrage of punches from Gaballo thus prompting the referee to call a first round stoppage win for the Filipino. Gaballo (20-0-0, 17KOs) came out with his full arsenal from the opening bell as Kisawire (29-7-1, 15KOs) tried to survive the round. Gaballo smelling blood continued his attack catching the Tanzanian with head and body combinationsdropped him for the first time. Kisawire beat the count but Gaballo went back to his attack and got the job done. “Reymart has matured and was in his best shape. He was just too much for his opponent. We are happy about the win and will definitely get him ready for the regular WBA Belt next fight. 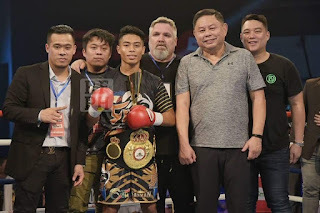 I’m sure Gaballo will be the next big boxing star from our country”, Sanman CEO Jim Claude Manangquil stated. The event was promoted by Gerry Peñalosa and presented by ESPN 5 where the bouts were broadcasted live. Gerry’s nephews Dave and Carlo were also victorious in their respective fights coming off with huge KO victories.